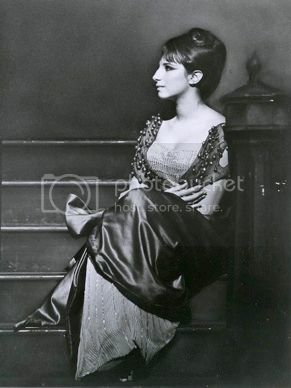 It is almost impossible to believe that just over 50 years ago, A young Barbra Streisand was starring on Broadway as Fanny Brice in the original production of 'Funny Girl'. It is true, for on March 26, 1964, the musical opened at the Winter Garden Theater. At the time, Streisand was just 21 years old. The reviews for her performance were outstanding, and it seemed as though an overnight star was born. 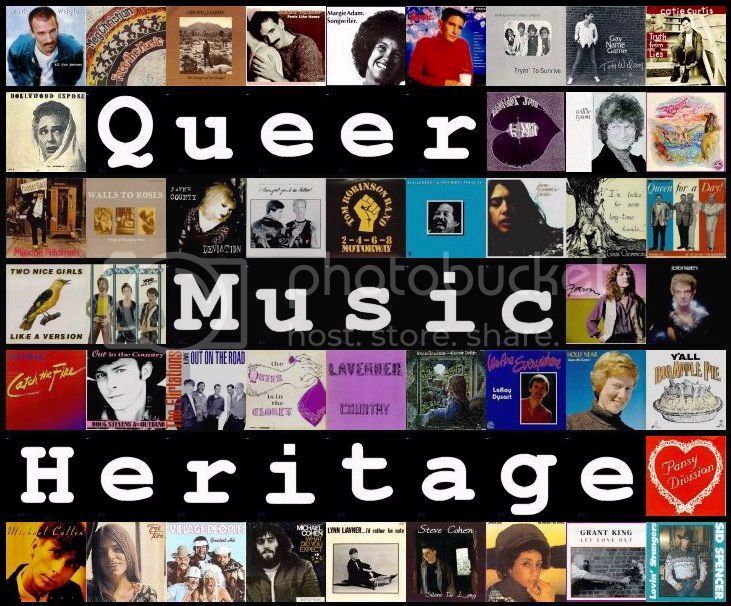 However, she had already had a showstopping number in the show 'I Can Get It For You Wholesale', and having carved are out a career as a club singer, both in Manhattan and elsewhere on tour. She also had appeared on 'The Tonight Show' in 1961, and began her recording career, with three albums on the shelves before the opening night. And she had also appeared on 'The Judy Garland Show' the year before, putting in an iconic duet with Garland. So being an 'overnight sensation' was years in the making. Left: Barbra Streisand as Fanny Brice in 1964. Right: Streisand in concert in 2006. To celebrate the 50th anniversary of the musical, with music by the great Jule Styne and lyrics by Bob Merrill. The production was directed by Garson Kanin and choreographed by Carol Haney, under the supervision of Jerome Robbins. Streisand was joined on stage by Sydney Chaplin, Kay Medford, Danny Meehan, Jean Stapleton, and Lanie Kazan. The show was nominated for 8 Tony Awards, but won none. Streisand lost out to Carol Channing in 'Hello, Dolly! ', which dominated the 1964 award ceremony. I thought I would offer up a track off the Original Broadway Cast album. Picking which one would be a tricky one, especially for me. I love them all so much. So I finally decided on a song that director Kanin wanted to cut from the show, over the objections of Streisand. She recorded the song for her 4th album, and it was the title cut. 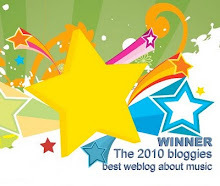 The song was released early, and became a hit, and convinced Kanin to keep it in the show. It was said early audiences would applaud when the music was played in the overture. This is Barbra Streisand singing "People" from the 'Funny Girl' original cast album. Now, I couldn't just leave it at that, could I? So jump into the time machine, and set the destination for 42 years later, 2006. Streisand was out on tour, setting house gross records in 14 of the 16 arenas on the tour. At age 64, she was still the hottest ticket to be found. The show covered the music of her storied career, spanning the previous 4+ decades. 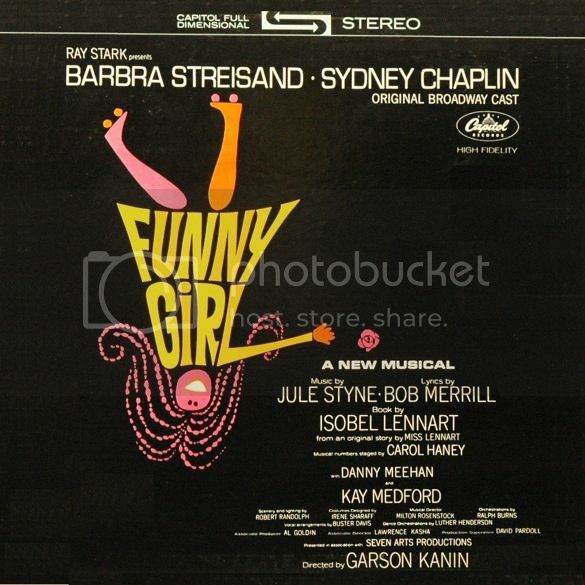 Among the set list for the concert was music from the show, 'Funny Girl'. I thought I would include two performances from the concert, and show that while she might have been older, she might very well have been as good, if not better. This is Streisand singing the songs "Funny Girl" and "The Music That Makes Me Dance", both from the Broadway musical 'Funny Girl'. Earlier this year, a special 50th Anniversary version of the album was released. You can find The original Broadway cast album for 'Funny Girl' from iTunes and Amazon. From what I could tell, it was a repackaging of the original release, with an additional 48-page booklet included. I didn't purchase it, for I had to old one I've had forever. That said, you can purchase the 'original' original Broadway cast recording for $2 less from iTunes and Amazon.